With awareness increasing, many homeowners are concerned about the cancer risk that Radon represents. While Radon has been discussed a lot lately, it is a relatively new concern for home owners. Whether a high Radon level was detected through tests during a home sale, or as a result of the Pennsylvania Department of Environmental Protection's various educational campaigns, it is being addressed with newfound seriousness. But why is Radon a concern now? Unfortunately, the more we learn about Radon, the greater the concern. An odorless, tasteless, and colorless gas, Radon is undetectable without special testing equipment, which means that home owners often don't know that they have a problem. This is why the PA DEP has taken such proactive steps to educate the public about the risk Radon poses. Through education and increased awareness, Radon issues can be addressed affordably and Radon levels reduced to within an acceptable range. This is by far one of the top questions we receive. Through extensive research into the effects of Radon exposure, the medical and scientific communities have not only linked Radon to cancer, but determined that it is actually the second leading cause of lung cancer in the United States (second only to cigarette smoke). For those who are smokers, the risk of developing lung cancer is greatly increased if you are also regularly exposed to Radon. Radon is a radioactive gas that occurs naturally as a result of the breakdown of radioactive materials in soil. When this occurs under a home, Radon gas can enter through the foundation, where it can accumulate to unsafe levels. Studies have shown that, when this radioactive gas is breathed in, tiny radioactive elements (radon progeny) lodge in the lining of the lungs, where they release additional radiation. U.S. Surgeon General stated in 2005 "Indoor Radon is the second leading cause of lung cancer in the United States and breathing it over prolonged periods can result in significant health risk." Tom Kelly, former director of the Federal EPA's Indoor Environment's Division stated "We know that Radon is a carcinogen. Our research confirms that breathing low levels of Radon can lead to lung cancer." According to the CDC "The U.S. Environmental Protection Agency and the Surgeon General's office estimate radon is responsible for more than 20,000 lung cancer deaths each year in the U.S. 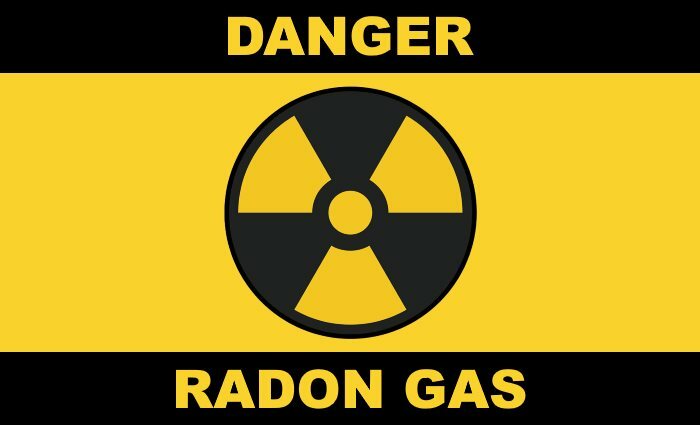 When you breathe in radon, radioactive particles from radon gas can get trapped in your lungs. Over time, these radioactive particles increase the risk of lung cancer. It may take years before health problems appear." The American Lung Association has stated "Radon gas occurs naturally. It forms when Uranium breaks down to Radium, which in turn breaks down to form Radon. As Radon decays, it releases radioactive byproducts that are inhaled and can cause lung cancer." Canadian studies conducted through the 1990's and early 2000's determined "16% of lung cancer deaths in Canada are attributable to Radon exposure." A pooling of European Residential Radon Studies determined that "Radon in the home accounts for about 9% of deaths from lung cancer and 2% of all deaths from cancer." In 2009, the World Health Organization stated "Radon causes up to 15% of lung cancers worldwide." They further stated "Radon in our homes is the main source of exposure to ionizing radiation, and accounts for 50% of the public's exposure to naturally occurring sources of radiation." Are high Radon levels common in Northeastern PA? Unfortunately, yes. Current estimates are that 40% of homes in Northeastern PA have higher than acceptable Radon levels; that's 2 out of every 5 homes! In order to determine if you have a Radon problem in your home, testing must be conducted. Many home inspectors are licensed to perform Radon testing, and canister tests are also available at many home improvement stores. How are Radon issues resolved? High Radon levels can be addressed with the installation of a Radon Mitigation System that essentially vents Radon gas from below the basement slab up above the roof line. This prevents Radon gas from accumulating in the home, ensuring a safe living environment for you and your family. In the State of Pennsylvania, all Radon Mitigation Firms must complete and maintain extensive training and licensing to ensure that they are qualified to install Radon Mitigation Systems properly and effectively. When choosing a Radon Mitigation Firm, it's always recommended to request a copy of their state licensing to ensure that they are qualified and legally able to install your Radon Mitigation System. While Radon has been around for a long time, it is just now getting the attention that it deserves. While we have attempted to answer the most common questions we receive, please feel free to Contact Our Offices with any additional questions that you may have. *This story originally appeared in the April 2018 issue of Connections Magazine, as part of a monthly contribution made by Disaster Blaster, Inc. Please check out the current issue of Connections Magazine for this month's story!